” Tamir Rice, the 12-year-old boy who was shot and killed by a Cleveland police officer last month, died from a “gunshot wound of torso with injuries of major vessel, intestines and pelvis,” according to an autopsy released on Friday. The Cuyahoga County Medical Examiner’s report ruled Rice’s the death a homicide. The African American boy was fatally shot by a white Cleveland police officer on Nov. 22. Officers had responded to a 911 call reporting a person pointing a gun — which turned out to be a toy pistol missing its orange safety cap. Video footage of the shooting shows Officer Timothy Loehmann, 26, shooting Tamir within seconds of arriving on the scene. ” Joe Sample, a founding member of The Crusaders who wrote chart hits such as Street Life and One Day I’ll Fly Away sung by Randy Crawford, has died at 75. Sample’s manager, Patrick Rains, told the AP press agency that Sample died of complications due to lung cancer at the MD Anderson Cancer Center in Houston. ” Sample’s songs were also sampled by hip hop stars including Tupac Shakur. The late rapper used Sample’s In All My Wildest Dreams on his track Dear Mama. Rest in peace sir , our lives are better for your having been a part of them . ” Actor James Garner, whose whimsical style in the 1950s TV Western “Maverick” led to a stellar career in TV and films such as “The Rockford Files” and his Oscar-nominated “Murphy’s Romance,” has died, police said. He was 86. Bunny Yeager in one of her famous self-portraits from 1960.
she specialized in exotic settings and vibrant models. Credit "Bunny Yeager's Darkroom"
Read more on the legendary photographer , her life and her passing here , here and here . Visit her website here . ” For years people have predicted the Republican party’s demise. The decline of whites as a share of the US population and the spread of tolerant values, such as support for gay marriage, would gradually snuff out its appeal. Yet the Grand Old Party has a stubborn way of bouncing back. The coming midterm elections in November are unlikely to be an exception, while the Republican field for the next presidential election looks stronger than at any time since 2000. Tomorrow may indeed arrive at some point. But for the time being, today is going pretty well for the Republicans. Financial Times has a lengthy piece on GOP chances for the upcoming 2014 midterms and while the article is every bit as condescending as it’s title would suggest there remains much truth that even their writer’s bias cannot hide . ” Stand-up comedian and country singer Tim Wilson, who infused original songs into his comedy, died in Columbus, Ga., on Wednesday night of a massive heart attack, his manager Chris Dipetta told TODAY. Wilson, 52, drove to Columbus from a gig in Michigan to visit his brother en route to a weekend show in Birmingham, Ala. when he started feeling ill, said Dipetta, who worked with Wilson for 30 years. He was a funny , funny man and in tribute to him we are going to highlight some of his work with very little commentary on our part . We’ll let Mr Wilson’s words speak for themselves . He was a most highly respected comedian that his contemporaries thought the world of . More about Aaron and efforts to fight State control can be found here and at the links below . ” The inventor of the Kalashnikov assault rifle, Mikhail Kalashnikov, has died aged 94, Russian officials say. ” Mikhail Kalashnikov’s 1947 design became the standard equipment of the Soviet and Warsaw pact armies. Versions were manufactured in several other countries, including China. ” The Kalashnikov – which is still widely used today – will go down in history. If the name of Samuel Colt and his revolver is associated with the 19th Century, then the gun of the 20th Century is undoubtedly the Kalashnikov. ” Best-selling author Tom Clancy, whose wildly successful technological thrillers made him one of the biggest publishing phenomena of his time, has died. He was 66. Clancy arrived on best-seller lists in 1984 with “The Hunt for Red October.” He sold the manuscript to the first publisher he tried, the Naval Institute Press, which had never bought original fiction. 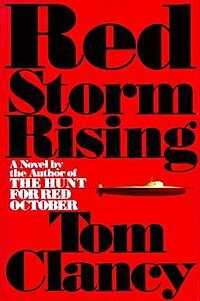 Red Storm Rising was always my favorite . Rest in peace Mr Clancy . You will be missed . ” Bobby “Blue” Bland died on Sunday at the age of 83. According to a family friend, Blues Hall of Fame recipient Robert Calvin “Bobby” Bland has died today. No other details were available. Already the condolences are coming in. ” Born in Rosemark, Tennessee, Bobby Blue Bland, real name Robert Calvin “Bobby” Bland, is well known for blues hits such as “Turn On Your Love Light,” and R&B hits such as “That’s the Way Love Is,” but also in the hip hop community such as for his R&B hit “Ain’t No Love In The Heart Of The City,” which was sampled by Kanye West on Jay-Z’s Hip Hop album The Blueprint. Bobby “Blue” Bland was born Robert Calvin Bland on January 27, 1930, in Rosemark, Tennessee, a small town near Memphis. When he was 17, he and his mother moved to Memphis. He worked at a garage during the week and sang spirituals on weekends. At various times, he served as a chauffeur for B.B. King and Roscoe Gordon and a valet for Junior Parker. He soon began hanging out on Beale Street, and he eventually became part of a loose-knit group called the Beale Streeters, which included Billy Duncan, Johnny Ace, B.B. King, Roscoe Gordon, Earl Forrest and Junior Parker. ” Bobby’s first Duke single, “It’s My Life, Baby,” was released in 1955. Two years later, he scored with the seminal Texas shuffle “Farther Up The Road” (115 k, 10 sec. ), which went to number 1 on the R&B charts. Follow-up records included two 1961 hits, “I Pity the Fool,” which also made it to number 1 on the R&B charts, and “Turn on Your Love Light,” which went to number 2. “That’s the Way Love Is,” a 1963 release, gave Bland his third number 1 hit. ” Chicago bluesman Jimmy “Fast Fingers” Dawkins, known for his excellent guitar playing and mellow singing voice, has died. He was 76. Delmark Records owner Bob Koester said Dawkins died Wednesday. The cause of death wasn’t immediately known. Dawkins was born in Mississippi. An only child, Dawkins taught himself to play guitar before moving to Chicago in the 1950s. Rest In Peace to a brilliant man . Yes , the moldering corpse of the Tea Party continues to draw flies … by the thousands .